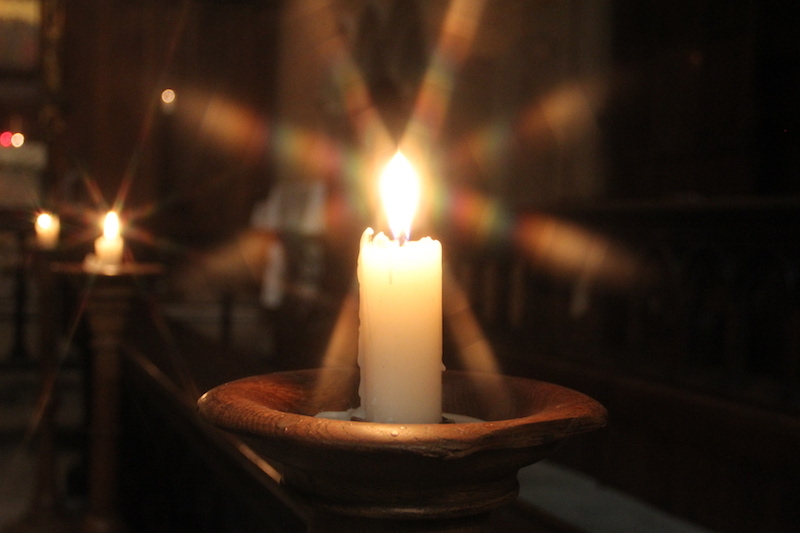 The name of Candlemas Day is derived from the tradition of blessing the annual supply of church candles on that date. According to the Dictionary of Newfoundland English, Candlemas Day is a day for festivities, with singing, dancing, drinking and a meal. There is also the tradition of the Candlemas Cake, which can be an actual cake, or the name for the party held on that special day. In local folklore, February 2nd is a day which will foretell the weather for the months ahead. As the old Newfoundland saying goes, "if Candlemas Day be clear and fine, the rest of winter is left behind; if Candlemas Day be rough and grum, there's more of winter left to come." One Candlemas Day in the community of Cobbs Arm was apparently rough and grum indeed. While the locals of Cobbs Arm were enjoying their Candlemas Cake and all the good fun that came with it, a heavy blizzard came on. All the people present decided to stay in the lodge where it was warm and safe, except one contrary soul who felt like going home. By this time, the blizzard was so bad that it was impossible to see a hand placed in front of one's face. But this man's mind was made up in spite of the foul weather, and he would listen to none of the people who tried to dissuade him from his journey. He lit his lantern, stepped out the door, and vanished into the howling whiteness. The next morning when everyone left the lodge, they found out that the man had not arrived safely home. A search party was pulled together, and the citizens of the community began to hunt for the lost man. Eventually they found his body out on the bog, frozen stiff in the icy grasp of death. The lantern was still clenched between his white fingers. General consensus was that he must have lost his bearings in the storm, and that he froze to death alone in the night. Ever since, many people claimed to have seen his light, and it is said that his soul is still wandering the bog in early February. One typical sighting was reported in 1963. A young man drove from Summerford over to Pikes Arm to pick up his girlfriend. He was driving in his own car, a 1950s model Volkswagen. The twosome parked on a small road across from a bog. It was a very quiet, deserted little road, and there was not another car to be seen. As the two sat talking to each other, they noticed a light out on the bog coming towards the car. As the light came closer, they thought that perhaps someone was lost. The light came right up close to the car and shone right through the windows. The young man jumped out of the old Volkswagen and asked," Do you need help? Are you lost?" When he did this, the light travelled around to the back of the car and suddenly vanished. There was not a soul in sight. The young man jumped back in the car and madly back to Pikes Arm. When they reached the girl's house, the scared couple related their tale, and both of them swore it to be true. After they had told their story to the young woman's family, her grandfather informed them that they were not the first to see the strange light, and shared the story of the Candlemas Day ghost, much as I have now shared it with you.